I’m sure you’ve heard the old joke, the one about the guy who said, “I’m not going to see Henry V because I haven’t seen the first four yet”? 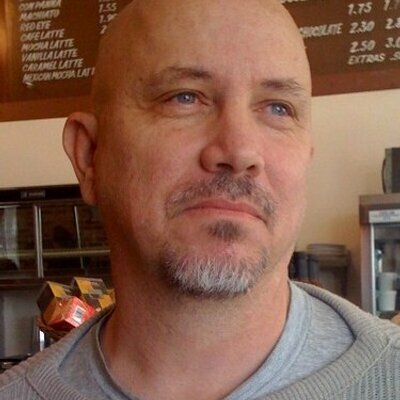 Well, don’t worry, fair filmgoers, Big Hero 6 is not a sequel (though believe me, to paraphrase Paul Thomas Anderson, there will be sequels). It’s more an origin story of a group of X-Men like super young adults set in a city named San Fransokyo (so called because it’s an alternative future where Japanese immigrants rebuilt the city where I left my heart after the 1906 earthquake). Big Hero 6 is a fun and satisfying enough animated movie, especially in the first half where it tends to show a bit more heart and emphasizes emotional resonance over the more prevalent action oriented approach of the second half. True, it’s fairly familiar and almost Disney paint by number. I mean, c’mon, you gotta know that a mother or father or mother figure or father figure to the central character is going to die early on because, well, it’s Disney, and the only thing that studio likes more than making animated movies that rake in a ton of money is trying to traumatize pre-teens in the first fifteen minutes of their films (unless it’s about a dog, then they wait until the last fifteen). But not satisfied with their normal body count this time round, Disney decided to gild the lily a bit. Not only is our hero Hiro (convenient name there) an orphan (and first class grifter; the movie has a kind of neat opening scene as the teen cons the participants of a battle of the bots competition, an activity which apparently is illegal for some reason which I never fully understood, but, dude, it is kinda cool and…huh, I think I’ve digressed…where was I…right)…not only is our hero Hiro an orphan as the movie starts, he loses his big brother Tadashi in a fire not long after the story begins. The central emotional relationship to the narrative, though, is between Hiro and Baymax, a robot, or actually a med-bot, the last invention of Tadashi. Baymax’s primary purpose is to take care of the health of its owner, that being our hero Hiro in this case. The early scenes with Baymax are quite amusing, mainly because the med-bot is not your usual, run of the mill bit of artificial intelligence. As I understand it, when the movie was being planned, those involved wanted something different here. In doing research, they discovered that scientists were rethinking their design of robots because the more human a robot was, the creepier they came across to people, and the more distrustful the public was of them. And I guess they have a point. I mean, after watching Blade Runner, and even A.I., I think the last thing I want is a robot that looks like Rutger Hauer or Jude Law (well, I might make an exception for Jude Law because, well, we are talking Jude Law here). The result is a huge marshmellowy Michelan Man that is as lovable as a Care Bear, but more annoying than a yenta when you stub your toe. These scenes are the most enjoyable in many ways. The humor is original and strongly character driven. And Baymax is such an adorably original character, one can’t help but be drawn in. But as the action moves along, though the movie never exactly loses interest, it does lose something of the charm of the earlier parts as the story becomes more conventional and Baymax becomes less, well, Baymaxy. It’s as if the filmmakers didn’t quite believe their initial concept was strong enough in and of itself to carry the story. So call in the thrills, chills and action scenes and a plot more driven by, well, plot, than by character. Hiro discovers some criminal wrong doings connected to the fire that took his brother, something that, in turn, is connected to the theft of his own invention, mini-bots that someone can join together like Legos in any way imaginable because that is how they get joined together—by wearing a head piece where you can imagine the bots to do anything you desire. There are no real surprises to this part of the story. Even the big twist is obvious. And everything pretty much works out the way one expects it to in the end as Hiro helps turn his brother’s friends into superheroes in order to track down his brother’s killer. Hero also turns Baymax into a super, or superer, hero by tailoring some armor to his body that can help him fly and fight off bad guys. But to be ruthlessly honest, Baymax was much more charming and appealing when he was the Pillsbury Dough Boy than after he became Iron Man. 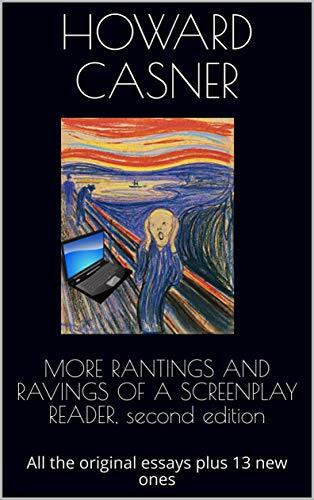 As I said, it’s still fun and entertaining, but it also is something of a letdown as the screenplay, by Jordan Roberts, Daniel Gerson and Robert L. Baird, becomes a bit more familiar and formulaic. The movie also sidesteps an interesting irony at the end. The bad guy goes on his rampage because of a botched experiment that left his daughter dead as she was being conveyed from place to place via an invention that can be described as the Stargate gate meets the Star Trek transporter. But it’s this rampage that ultimately reveals that his daughter is actually still alive. If the villain hadn’t gone down the Sweeny Todd road of revenge and terror, his daughter would never have been rescued, but would have been left to float in some sort of limbo until she died. However, I’m not quite convinced the filmmakers realized they did this. The directors, Don Hall and Chris Williams, keep the tension up and there is an exciting chase scene as the mini-bots assemble and reassemble under the control of a mysterious (not) man wearing a Kabuki mask. And I have to say it has some very remarkable animation. The city of San Fransokyo is original and appealing in an anti-Blade Runner way and the animators are impressive at detailing feet and hands (one of the hardest aspects of drawing figures there is). But in the end, I wish there had been a bit more emotion and a bit less of a standard plot. The voices include Ryan Potter as Hiro; Scott Adsit as Baymax; James Cromwell as Callaghan; Alan Tudyk as Krei; Maya Rudolph as Cass; Daman Wayans, Jr. as Wasabi; T.J. Miller as Fred; and Stan Lee as Fred’s dad (jeesh, he’s in everything—you think he owned the rights to all those comic book heroes or something). The Tale of the Princess Kaguya is the latest animated offering from Studio Ghibli, the legendary producers of such films as Spirited Away, The Wind Rises, Howl’s Moving Castle and many, many, many…many…others. It’s the story of a baby found inside a bamboo tree by a bamboo cutter. He and his wife quickly come to believe that she is a princess and when the cutter finds a huge amount of gold in another tree, they decide to raise her as her true background suggests. But Kaguya never quite feels as if she fits in. She doesn’t want to live the traditional life that being a princess demands, but at the same time, she doesn’t quite know what to do instead. And then at the end she finds out why. 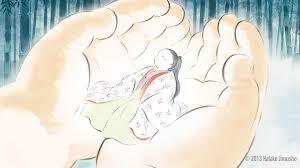 …Princess Kaguya is an absolutely ravishing film to look at, a work of often stunning beauty. And it has a marvelous music score by Joe Hisaishi who did many of Hayao Miyazaki’s films. As a narrative, though, it tends to stumble in the middle a bit as the story stagnates awhile. The authors Riko Sakaguchi and Isao Takahata (who also directed) seem to have trouble deciding what Kaguya’s central conflict is. The plot seems to meander as one waits for all the various aspects of the tale to come together. I suggest this is because we don’t find out why Kaguya is on the earth until the ending where a Buddha like character descends with an entourage from the moon to take Kaguya back to her home. Apparently, the princess was visiting our planet to see what it was like here, and how painful it can be, and now that she has, she is to return to the sky where she will completely lose her memory (which almost seems to defeat the purpose of her coming here in the first place, but, you know). I’m not sure why the filmmakers decided to keep this surprise hidden. It would have made all the difference in how we experienced the inner and outer conflict that Kaguya was going through and I suspect that the story would have felt more focused with a stronger emotional resonance. At the same time, I have to say, the ending is deeply moving. In the same way that the Buddha overwhelms everyone on earth, the final scenes overwhelm the audience. The results are palpable and profound. It’s well worth the earlier, less focused, scenes. With the English voices provided by Chloȅ Grace Moretz as Kaguya; James Caan as the bamboo cutter; Mary Steenburgen as his wife; and Lucy Liu, Beau Bridges, James Marsden, Oliver Platt, and George Segal. At 137 minutes, it’s three minutes longer than any other Ghibli movie. I agree about big hero 6 being charming and losing that along the way. I had no idea they would turn into a group of superheros at the end. I’m over the people dying thing in Disney movies it’s like the love story in every movie. My son enjoyed it so overall it worked. What stood out to him was bymax and the things he would say or do. You forgot to mention they killed bymax too. The deaths were sad for my son. Thanks for reading and sharing. They do and don’t kill Baymax. Hiro has his program, which is the real Baymax, and gives him a new body. I was wondering as I was watching it whether they really were going to just kill off Baymax; I thought after all the death, that was unusual. But then they resurrect him. So he does die, but he also doesn’t.